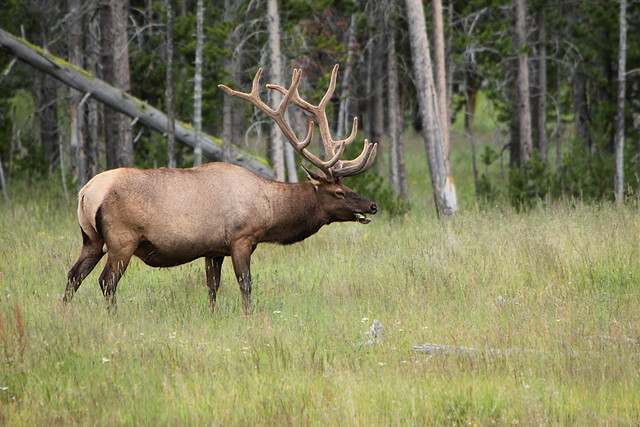 Today Robert Found, a researcher from the University of Alberta, tells us about the different personalities he’s noticed in elk, and the implications this could have for management strategies. With Indonesia’s Mount Merapi belching ash and fumes thousands of meters into the atmosphere we look into the human and environmental impacts of volcanic eruptions. And we talk to the River City Chickens Collective about efforts to get urban chicken farming off the ground in Edmonton. Ottawa vetoes controversial Prosperity mine project in B.C. Usually when you talk about personality types, you’re talking about people, but wildlife biologists on the cutting edge are increasingly recognizing that the animals they study also have individual personalities that can be classified into groups like “bold” versus “shy.” These personality classifications can have huge implications for wildlife management. Robert Found is a Master’s student in the department of biological sciences at the university of Alberta who studies Elk populations that overwinter in the Bow Valley and Banff National Park. Terra Informa correspondent Rebecca Rooney interviewed him about his research into Elk personalities and filed this science short. On November 5th the number of cumulative dead is almost 120 from the volcanic eruptions in Mount Merapi on Indonesia’s Java Island. On April 14th, flights to and from Europe were stopped because of a volcanic eruption in Iceland which sent volcanic ash over the sky in Europe. Recently, expectations of volcanic eruption in Baekdoo mountain in North Korea have been coming up. Today, Terra’s correspondent Seon-Ah, reports on the issue in Indonesia, and the relationship between volcanic eruption and environment. Many cities across North America are turning back restrictive bylaws and allowing urban chicken keeping as a way of addressing food security issues and building community resilience. However these efforts are usually confronted by a small and very vocal opposition, wielding urban myths dressed up as arguments. Terra Informa corespondent Myles Curry interviews Laura Klassen Russel of Edmonton’s River City Chicken collective about this practice of urban agriculture and debunks some common arguments against urban chicken keeping.